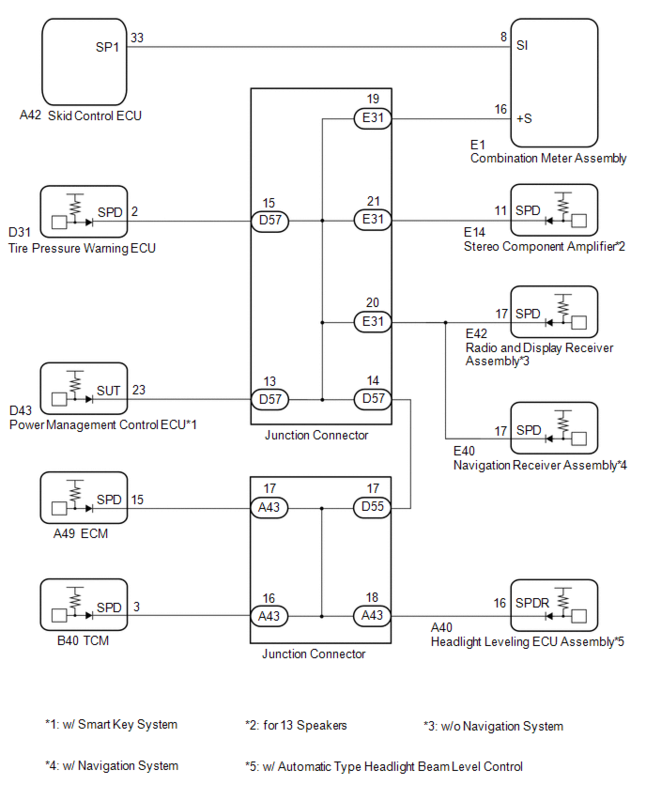 This circuit is necessary for the Automatic Sound Levelizer (ASL) built into the radio and display receiver assembly. The Automatic Sound Levelizer (ASL) function automatically adjusts the audio system volume level in order to compensate for increased vehicle noise (vehicle noise tends to increase as vehicle speed increases). The ASL adjusts the volume level based on vehicle speed signals sent from the combination meter assembly. 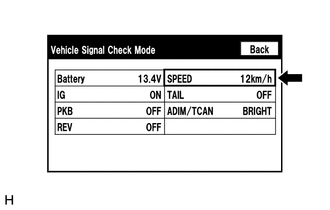 Vehicle speed signals are sent from the combination meter assembly and used to cancel "Bluetooth" function operation. The radio and display receiver assembly recognizes that the vehicle is being driven and makes it impossible to connect or register a "Bluetooth" device while driving. 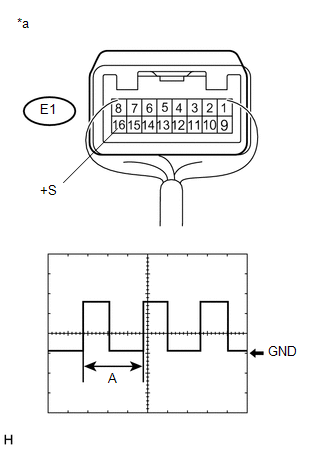 A voltage of 12 V or 5 V is output from each ECU and then input to the combination meter assembly. 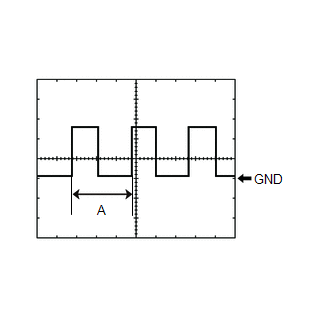 The signal is changed to a pulse signal at the transistor in the combination meter assembly. Each ECU controls its respective system based on this pulse signal. (b) While driving the vehicle, compare the value displayed for "SPEED" to the reading on the speedometer. Check if these readings are almost equal. (1) Remove the radio and display receiver assembly with the connector still connected. 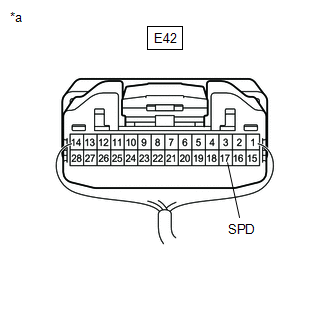 (2) Connect an oscilloscope to terminal E42-17 (SPD) and body ground.